Why well funded startups waste money? Sometime ago I had a conversation with a friend who asked me how much money I though was needed to get my startup going. I told him I though it would take 100.000€ to bootstrap it in the US, but that it might be less. I still remember his skeptical face. I though he was going to tell me it was way too much, but to my surprise he told me it was way too low. I realized then that there is a great gap between bootstrappers and corporate drones. Enterprise people need like 5x to 10x more cash than what a bootstrapper needs but the truth is that this is just an illusion. It’s not true you need 10x more cash, it’s just that you aren’t used to save money. As always, nothing is black or white and there are exceptions to this, but most of the time it’s just people flushing money down the drain without any real results. I really feel it’s because the money isn’t theirs and so, they don’t feel the pain it is to earn that money. Nothing like having your own savings at stake to think twice about spending it in stupid things. are starting up and I think most companies don’t make saving money and resources a critical part of their company’s culture. For me it’s something fundamental in an organizations culture. Everyone should think about this, even when there is plenty of money, wasting it should be avoided. What really strikes me is that the same behavior can be observed on peoples lives. Plenty of people ask us how are we (me and my girlfriend) able to live the way we do. The answer is that we don’t pay for stupid things. When someone tells you that they’ve spent 600€ in a pair of shoes I just roll my eyes. And don’t get me wrong, if you can spare 600€ a buy some awesome handmade shoes, please be my guest. The problem is that 99% of the times, people just can’t afore to do that and they buy them either way, which I must say, it’s just stupid if you ask me. Sadly the only times I see companies trying to save money is when they need to bump their profits for the next quarter. The problem with this is that it’s too late. Creating a culture takes time and you can’t just reverse crazy spending overnight. 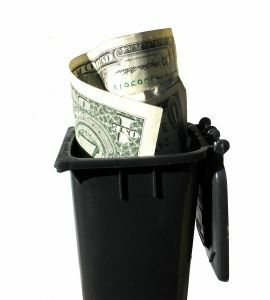 Employees should feel that if they waste resources it’s their own payroll money they are wasting. The more you save, the more you get back at the end of the month. to the basics I’m sure we could do much better. Have you seen crazy spending in your company, in your startup? Tell us about it!